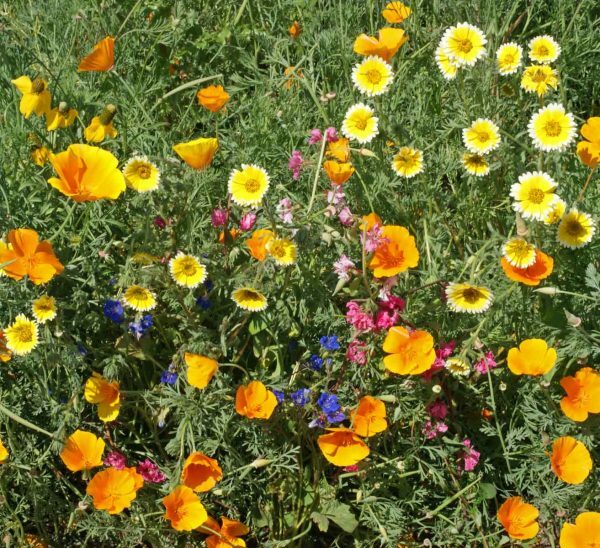 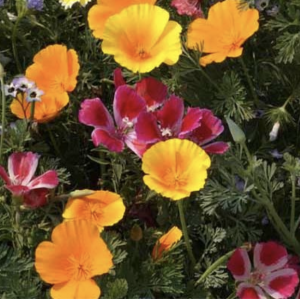 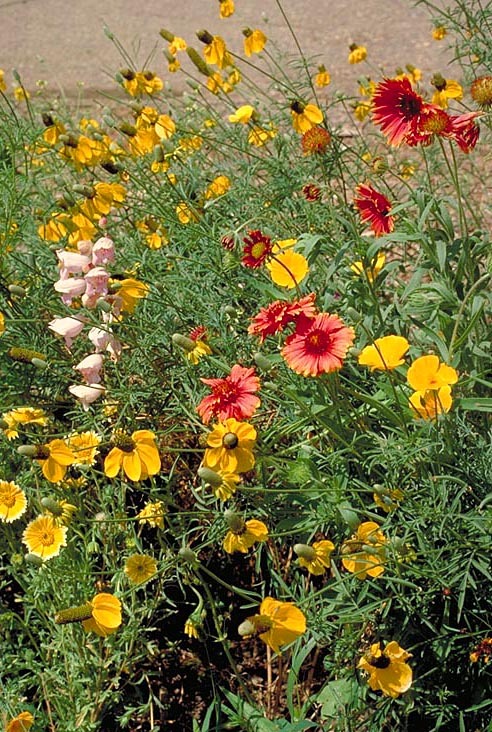 Use in sunny desert landscapes to attract local pollinators. 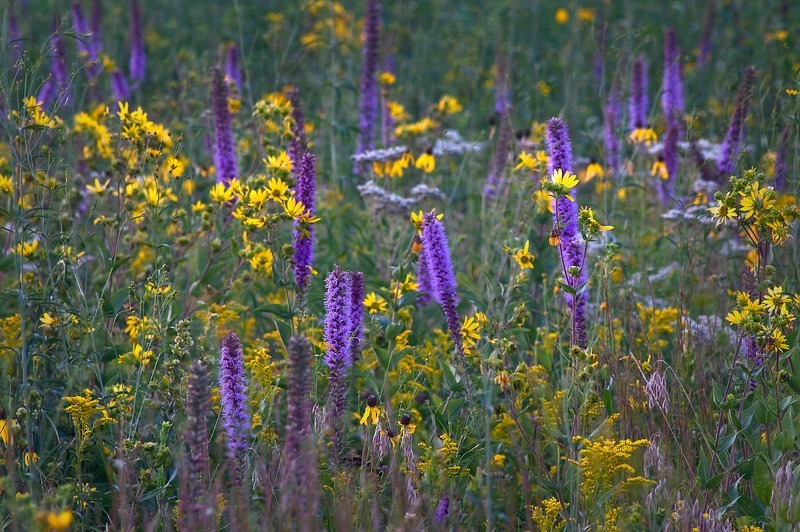 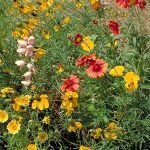 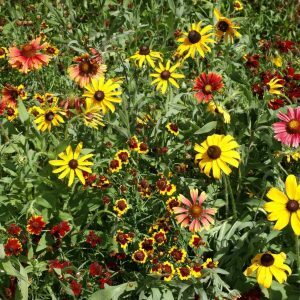 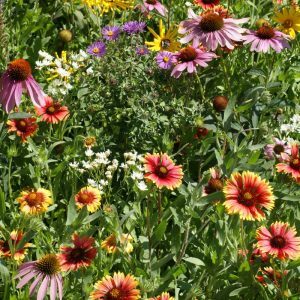 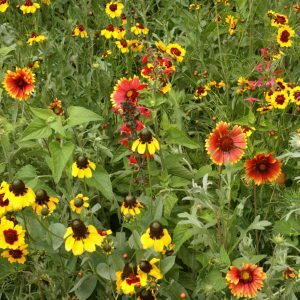 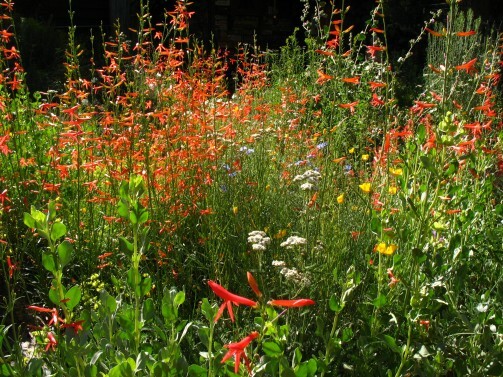 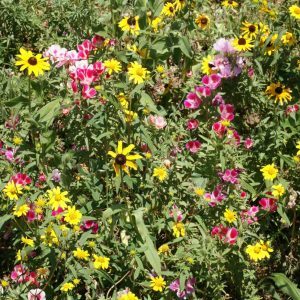 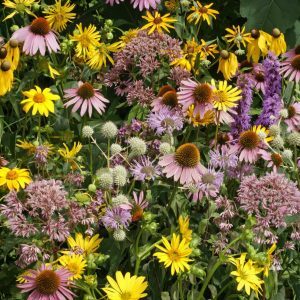 Combine with Southwest Native Grass Mix to create a desert meadow. 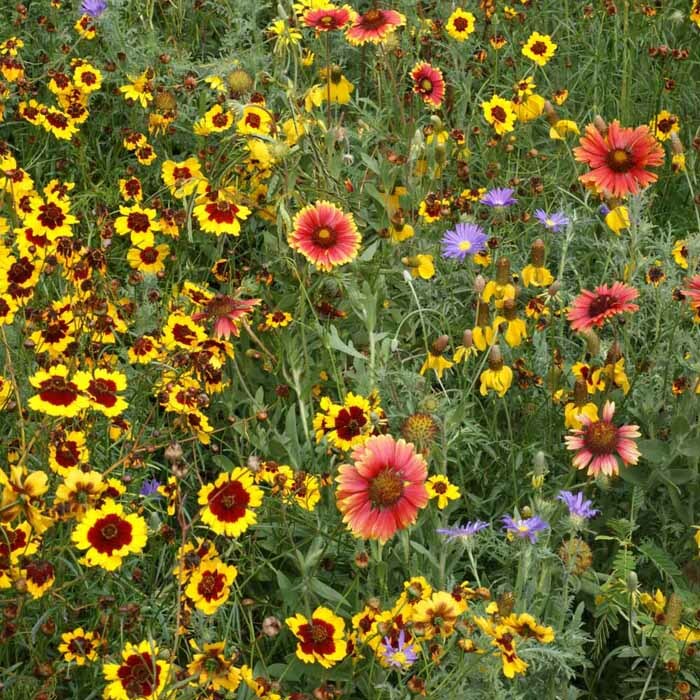 Arroyo Lupine, Bigelow’s Tickseed, Bird’s Eyes, Blazing Star, California Bluebell, California Poppy, Clarkia, Desert Gobemallow, Desert Marigold, Eaton’s Penstemon, Five Spot, Mojave Lupine, Mountain Phlox, Pale Evening Primrose, Palmer Penstemon, Prairie Coneflower, Tidy Tips and Wild Four O’Clocks. 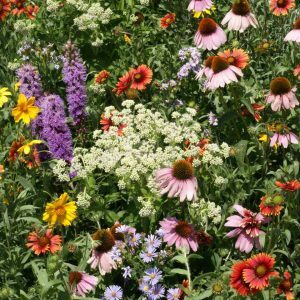 Planting Rate: 7-14 lb per acre, 1 lb per 3,000 sq. 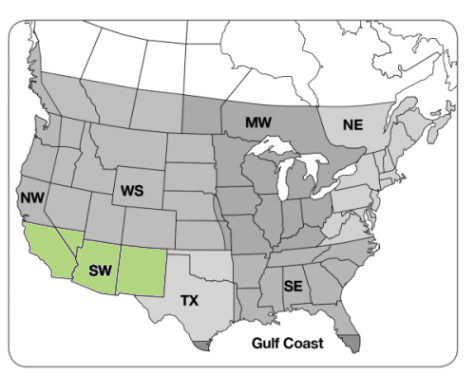 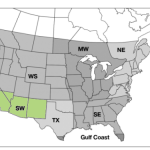 ft.
Grows Well In: New Mexico, Arizona, southern California and southern Nevada.